Do we irritate Life by taking it more seriously than we should? We stew over the past, brood about the future, and because of that generally squash the present. 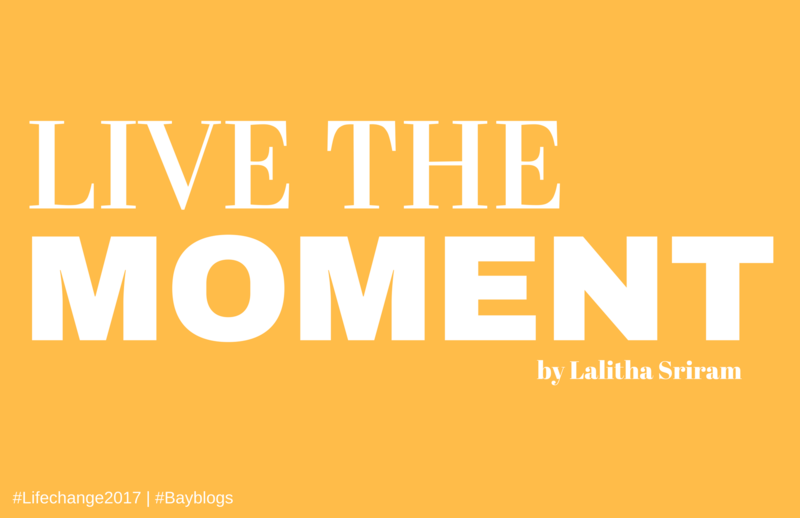 Here are some tried and tested tips on how to live the moment – live content! It was the evening of December 31st. Dusk settling in, drawing to a close a year of heightened emotions and deep groundwork of the heart. The landline rang just as I was contemplating a snack to be made to carry to the venue to ring in 2017. The jangling tone however was ominous. 2016 wasn't done yet. There were soul lessons still unlearned. My mother's broken voice at the other end wept and said her brother suddenly, is no more. Dead from a heart attack. A man who drove his car after a cup of evening tea, to a cousin's house, was dead at 5.30pm. Departed from the world. The Heavenly Father decreed that his duties were done. He could move on. However depleted and desperate his survivors felt, that was the finality. The year was ending and took him with it. And so, to come back to the moment after the ringing of the innocuous telephone, sitting on my sideboard, besides my son's holiday home-work sheets and an old lamp, the last hours of 2016 became a whip lash. A zoning into the core connect of our lives. Emotions. Family. Duty. Early in the dark hours of the following morning as I flew back to my maternal home with my distraught but brave cousin, my mind closed in on what I learned in my yoga classes. Wise words, attributed to a French philosopher named Émile Coué de la Châtaigneraie, French psychologist and pharmacist in the 1920s, when he introduced a popular method of psychotherapy and self-improvement based on optimistic autosuggestion: ‘Today is a great day. I can handle more than I think I can. Every day in every way I get better and better." Read it again and absorb each word. You can handle more than you think you can. And, you get better every day at living your own life. Energizing message, isn't it? A great insight to the potential we all have within us. Realize there's no such thing as perfection, except as a perspective. If you think otherwise, you create anxiety. Each of us naturally has the wisdom to face multiple challenges in our daily lives. But we forget this in the cacophony of a world that exaggerates trivia. Every sentence or action, spoken or carried out with all the resources within and unconditionally available around you, is the best in that given moment. As we did with the online flight apps on the smartphone. The priority : time. First flight out. Make yourself the centre of your life. Yes. Yourself. From that focal point see what you can give of yourself no matter how dark or bright the situation is. Make a positive, helpful contribution. Give the present moment its due. Address all thoughts that creep into the mind. The happy, the sad. Damaging and healing, all. But don't let them make a dwelling within you. Act upon the essentials. Firmly remove all others. Breathe. Pack a hasty bag. Kiss a sleeping child. Hug a husband. Lock the door. Join the grieving. Admit that Life is a grand, inexplicable design. Joys and sorrows, achievements and afflictions. Live every moment of it. Rejoice in the good. Go deep into the pain and disappointment of the sorrows. If you gloss over the good or dismiss the dark, you lose a part of yourself. An intrinsic part of you is enmeshed in every high and low. Own it. Understand it. Live with your intuition. Your own unique understanding of a person or a situation. Bring to it your intellect and coordinated action. Whether it's a child that needs pampering or an adult that needs a pep talk. Respond with your soul. Opinions and advice, easily provided, have to be sifted through carefully. Should the body be kept in an iced, impersonal mortuary till the only child arrives? Or at home in a mobile mortuary with grieving family keeping a traditional vigil with oil lamps? Unless pertinent to the situation other family members had to promptly discard duffering though helpful opinions. Optimism of the real kind is a handy tool. To see the merits and advantages each one always has. A loving family. Extended members who perhaps connect only on social media but show up in numbers as the occasion demands. Perhaps you have a good partner. Cheerful children. A clean home. Good health. Wealth. Some of these. Or all. Each one has an advantage. Introspect and identify. Grin and bear some losses, you can't draw a perfect hand each time. The spades and the diamonds are dealt together, some by the divine hand, others by luck of our own making. Time well spent is a beautiful memory gained. In the daily run of activities, let the mind retreat to a quiet spot and coordinate actions from that detached zone. Get out of the personalities and likes/dislikes, simply change your perspective and have your words and actions follow a value system. Not the value system of cultural and social conditioning but a system of personalised priorities which range from the essential to the important in your life, and then you'll see the ' maybes' and 'so whats' exactly as they are. You'll make wiser decisions from that space. Never forget that a calm mind is the best resource centre. Analysing and acting are the two intertwined departments of this centre. Every waking moment we use these two functions, usually unconsciously. Shower now? Eat later? Make the call? Wake the child? Zoom into the value system again. Allot the moment to the priority. When you go within, you challenge yourself in a unique manner. Yes, you will still be aware of worldly ideals and external milestones, the branded bags and the picture perfect vacations, but plumbing your depths require a different set of life skills. Your mind is a maze of light and dark. And shining the torch within is revelatory and uplifting. Kindness to oneself is the most soothing balm. When you know yourself a little more, a carefree shopping expedition will totally delight you, and a leisurely meal with a like minded companion will feed your soul because you've learned to value the wonderful moment. It only took a five second phone call to know our family tree had been shorn suddenly short. The earth shakes briefly, nests fall apart and birds shocked and shrieking, fly away. When the dust settles and night gives way to a rising dawn, the birds are singing again. And as I get back to my home I remind myself that my life is my trajectory. I'll make a path that befits me. The shadows and the sunshine are for all of us to experience. The skies are open and the horizon unlimited. All it needs is your awareness of every precious passing minute. Give thanks to the Grace. Live gloriously. Live in the moment. 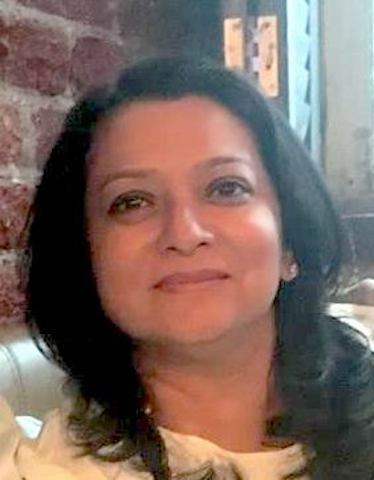 -Lalitha Sriram is the former Editor of SOCIETY magazine, and has worked for SAVVY and FEMINA. She now lives between Nigeria where her husband has business interests, and India.